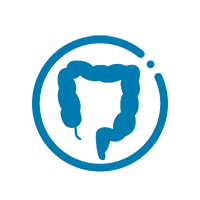 Carbiotix low-cost gut health test products are offered to consumers and companies as a means to cost effectively track gut health over time and overcome the natural variability associated with gut microbiome testing. The gut health tests serve as both a therapeutic discovery and diagnostic platform as well as assist with verifying and amplifying the efficacy of Carbiotix therapeutics. Carbiotix is developing a new generation of microbiome modulators based on proprietary second-generation soluble fibers, isolated bacterial strains and novel delivery mechanisms. This approach will allow Carbiotix to target a broad range of chronic and metabolic conditions by optimizing a person’s microbiome metabolic profile with high efficacy propriety therapeutic solutions. It is the belief of Carbiotix that activity within the gut microbiome is more important than the presence of specific bacteria species. As such, the company is focused on engineering microbiome modulators to restore and optimize gut microbiome metabolic processes and thereby obtain a desired therapeutic effect through an improved metabolic profile.